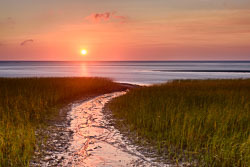 You may know Cape Cod as a popular summer destination. 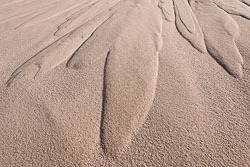 Indeed, its white sandy beaches do attract a heavy influx of tourists in summer. But the region takes on a much more serene ambiance off-season, offering up a boatload of photogenic destinations to the discerning photographer. 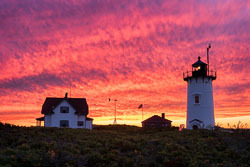 Join Ben Williamson and Mike Blanchette on a 5-night exploration of Cape Cod in spring. Our workshop is timed to precede tourist season so as to avoid the heavy crowds. 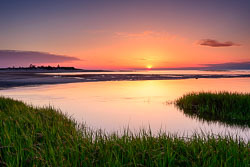 Mike has been coming to Cape Cod an average of 5-6 times per year for the better part of a decade, so we're well qualified to take you to the most beautiful landscape locations Cape Cod has to offer. 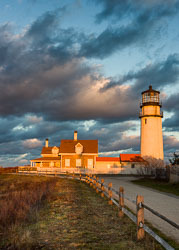 In addition to photographing on the mainland, we will also take a fast ferry to Nantucket Island for one day, where Ben and Mike will take you between photo hotspots in rented SUVs. We return on the fast ferry later in the evening to resume mainland photography the next morning. During the week, we hope to visit and photograph windswept beaches, blinking lighthouses, lovely marshes, pond reflections, white sand dunes, quaint harbors, and historic windmills. 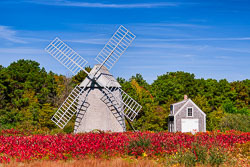 Did you know that windmills were once an integral part of life on Cape Cod? There were numerous wind-powered mills here from the early 1700s through the 1800s, and some of these old windmills have been preserved down through the centuries for our benefit. 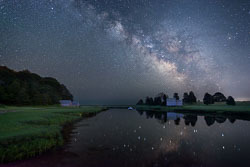 In addition to the familiar “golden hour” shooting times (the hours around sunrise and sunset), we will also immerse ourselves in star photography on nights that are clear. 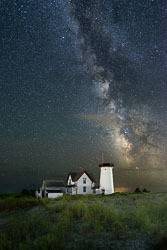 Surrounded by ocean on three sides, Cape Cod is an ideal location for night photography. The moon will be setting early over the course of the workshop, so we hope to be able capture the Milky Way, weather permitting. The date of this workshop was specifically chosen to increase our chances of capturing the starry night and Milky Way on moonless nights. The workshop is limited to eight (8) participants to ensure an optimum instructor-to-participant ratio and provide a top-notch intimate experience for all participants. We have no set minimum number of participants, so we guarantee that the workshop will run regardless of group size. Our primary goal is to put the group in beautiful locations at optimal times, and offer our thoughts on how to make stunning landscape photographs. While in the field, Ben and Mike will be at your disposal for any assistance you may require. We'll also be holding informal training sessions on topics of interest during the bright midday hours and in times of inclement weather. We'll be staying at The Wellfleet Motel and Lodge for the duration of our visit. 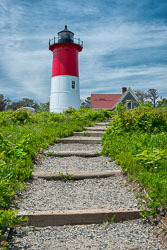 The motel provides good WIFI and convenient access to many of our planned destinations, including key photo opportunities in Provincetown, North Truro, and Eastham. Participants are responsible for the cost of lodging, although we reserve a block of rooms well in advance. All rooms are single-occupancy unless you request otherwise. 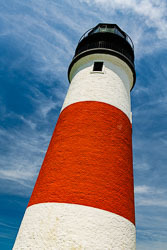 We were able to get an excellent group rate, so the per-night cost of the room is quite modest for Cape Cod. IMPORTANT: Although we reserve a block of rooms on behalf of the group, you’ll still need to register with the Wellfleet Motel individually and pay a one-night deposit in advance of the workshop. You can either register online or by calling 800-852-2900. Our confirmation email will provide you with a group discount code, room rate, and registration instructions. 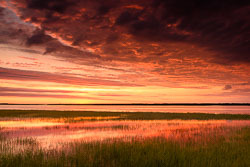 It takes about two hours to reach Wellfleet from either Boston or Providence. If you arrive in Boston, take I-93S to exit 7 onto MA-3S toward Cape Cod. After crossing the Sagamore Bridge, contine on US-6S toward Wellfleet. When starting from Providence, get on I-95N and take exit 19 onto I-195E. Then, get off at exit 22A onto MA-25A toward Cape Cod. After crossing the Bourne Bridge, continue onto MA-28S and merge onto US-6E toward Wellfleet after about a mile. Our gathering place on Sunday June 2 will be at the Wellfleet Motel and Lodge at 4pm. The Wellfleet Motel is located at 170 US 6 in South Wellfleet, Massachusetts. If you have a car GPS unit, set it to these coordinates: 41°52'56.16" N 69°59'14.76" W.
We'll spend an hour on brief introductions and set expectations for the week. Then, we’ll go for a casual dinner at a restaurant. Our photographic journey begins with a sunrise shoot the next morning. 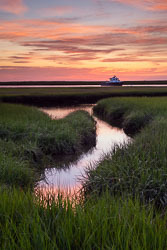 We’ll be working our way through parts of Cape Cod and Nantucket Island over the week, concluding the workshop after sunrise and breakfast on the morning of Friday June 7. 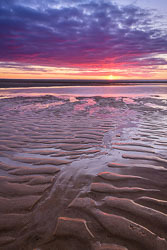 These photos show places we may visit during the workshop and demonstrate the types of images you could make. 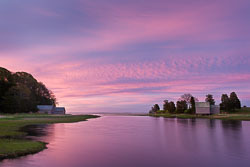 © 2016 - 2018 Best of New England Photography Workshops. All Rights Reserved.